Spend some time in the studio restoring and recognizing your creativity! 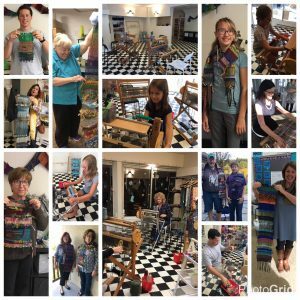 Come and join our growing community of joyful weavers. The inspired creations are amazing. Bring a friend and double the fun. Bring a couple more and some wine and quadruple the fun! 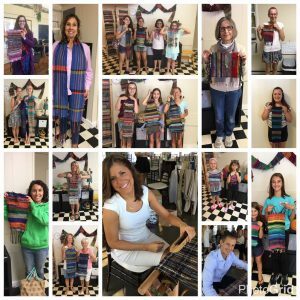 kite tales is a registered SAORI weaving studio, located in Central Pennsylvania. Begin a weaving journey and see what unfolds. Refresh , unlock or expand your creative energy. Saori weaving is a wonderful experience for anyone. Age doesn’t matter. Artistic ability not necessary , nor is any previous weaving experience. The only thing that matters is a willingness to have some fun, try something new – and learn something about yourself . See individual pages for the calendar, class descriptions and additional studio information.